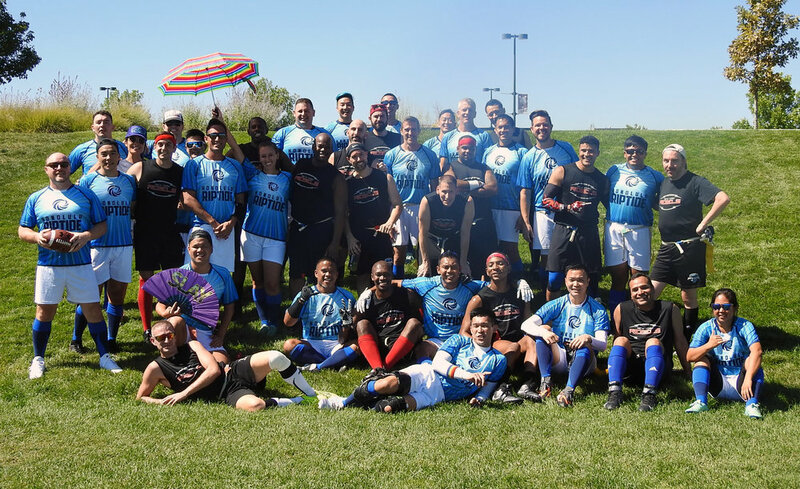 We’re so happy to have two teams competing in Gay Bowl XVIII in Denver. After one day of competition, Honolulu Riptide I is 2-0 in pool play. Honolulu Riptide II is 0-2. Check back for more photos from day 2 tomorrow.